A castle within walking distance of our meeting place! Built originally as a defensive fortress in 1200, the structure was acquired by Benjamin Buwinghausen of Wallmerode in 1616 and renamed Zavelstein Castle (Burg Zavelstein) after the royal architect Heinrich Schickhardt reformed the structure into a late-Renaissance castle, a style popular at the time. However, a few decades later, French troops destroyed the castle and town in 1692 during the French-Palatine War of Succession. Although the houses in the adjacent town were rebuilt from 1697 onwards, the castle has remained as a ruin. Nevertheless, it retains much of its original structure and carved decorations, as well as all of its special charm. 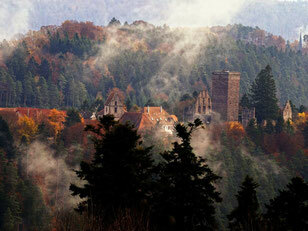 From the 28 meter high tower of the ruins there is a wonderful panoramic view of the Black Forest. 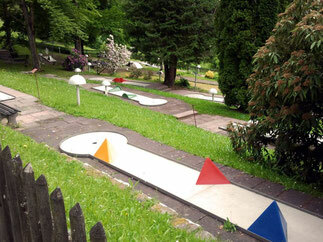 Information（インフォメーション）: A charming local minigolf course, close to the hotels in Bad Teinach. Ideal for a visit, it is easy to find and good family fun. 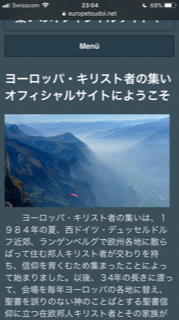 Information（インフォメーション）: A local swimming pool facility close to the Bad Teinach hotels and open to the public. Nothing is better, on a hot summer day, than a dip into the cool waters of a swimming pool! It is a family friendly place and has both deep and shallow pools. 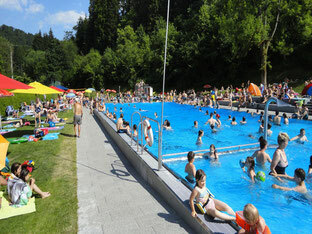 It is open until 20:00 in the evening, so perhaps a refreshing dip after the daily session? 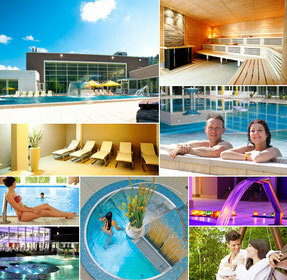 Luxurious thermal baths, catering mainly to the guests at the four-star hotel. Visitors from outside are, however, allowed entrance from 9:00 to 17:00, every day. These baths have long been famous for the pure air, crystal clear waters, and for their mineral waters with curative powers. In 1842 King William I chose this very site as his royal baths, and now it is possible for everyone to enjoy the site. The thermal baths includes amenities such as a wellness spa, a ladies spa, and a panorama spa. For relaxation after the hardship of travel, this modern spa is the ideal location. Nestled in the beautiful nature of the northern Black Forest, this modern spa complex has a fine view of Liebenzell Castle from its outdoor pools. In addition to indoor and outdoor pools, there are steam grotto, steam bath, plunge pools, saunas, and other amenities. Enjoy dining with light treats and refreshing drinks on the large outdoor terraces. For adults: two hours 9.50 Euro, one day 12 Euro. 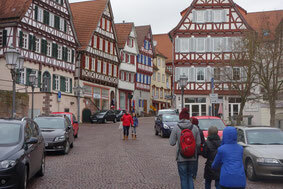 In the Middle Ages, the city of Neubulach as the center of mining operation in the Black Forest area. Here, rich silver and copper ores were extracted and the mountain is honeycombed with tunnels created through the mine’s 1000- year history. The mines are no longer operational and instead guided walking tours tours are given by guides who provide information on the history of the mountain. 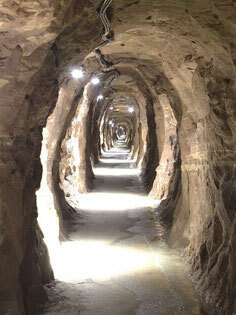 Wear confortable shoes and be prepared for the colder temperatures in the underground tunnels. The museum is located in the lovingly restored house of the mountain sheriff in the historical center of this medieval mining town. 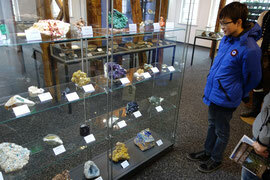 The museum has examples of the various stones mined in this area, as well as rare stones from across the world. Some of the stones come to life under special lights handled by the attentive staff members. Not to be missed is the mountain chapel in the basement, a chapel created by the miners in the honor of the protective saint of the mountain and made entirely out of precious stones. 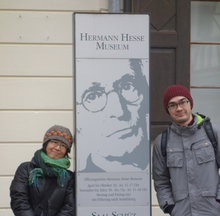 All the information one could possibly ask about the world-famous Nobel-Prize winning author Hermann Hesse, who was born here and grew up in the town of Calw. Hesse wrote about his hometown and the city is the subject of his early work, Gerbersau. The museum has many objects from Hesse’s life, including his typewrite, his letters, photos, and other objects. Many of the labels are in German, but there is also quite a bit of English-language information and the staff is eager to answer any question in English. While in Calw, be sure to visit the bronze statue of Hesse, placed in the middle of the St. Nicolas Bridge, one of Hesse’s favorite places. The city was one of the main centers of trade during the Middle Ages, and the first appearance of the city name occurs in a document from the year 1037. Ruled by a succession of powerful courts and families, the city was conquered in 1634 by the King of Bavaria and in 1692 by the French. 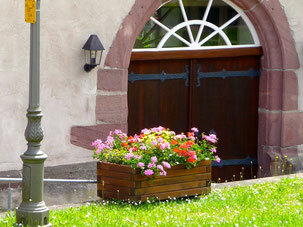 The center of the city also houses a beautiful church and the Herman Hesse Museum. On Saturday mornings, there is a farmer’s market as the local farmers come to sell their products in the city center. A charming city, popular with tourists and active as a center of spas and fine restaurants that serve local specialties. The Monastery Museum was opened in 1991 on the 900th anniversary of the consecration of Peter and Paul Monastery. The exhibition with its wealth of texts and images and its archaeological finds provides a good insight into the Hirsau monastic culture, which dates back more than 1,100 years. It provides interesting background information on the architectural remains of the monastery and is a good place to go before or after a visit to the monastery. It is also placed close to the St. Aurelius Church (see below). Through the exhibits one also gets a good idea of the daily the lives of the monks living here for over a thousand years. Information: This monastery is one of the most important church centers in Germany’s history and it lies a short distance from Calw in a beautiful part of the Black Forest. Dating to the Early Middle Ages, the monastery was founded in the year 830. In the 11th century, under Abbot William, the Benedictine monastery rose to become one of the largest and most influential monasteries in Germany and played a major part in church history as well as political history of the time. The year 1091 saw the consecration of the exceptionally long, three-nave church, the largest church north of the Alps at the time. The first golden age lasted until about 1250 and in the mid-15th century it prospered once again and new buildings were founded. Around 1480, most (but not all) of the Romanesque elements of the buildings were replaced by sections in the Gothic style. 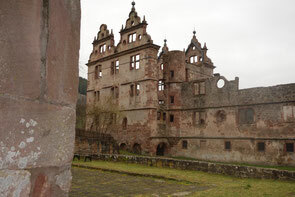 In 1692 in the course of the War for Succession of the Palatinate, French troops set fire to the buildings, destroying almost the entire monastery, which sadly never again arose to prominence, but was left in ruins. There is no fee for admittance and guests are free to roam around the extensive grounds, filled with evocative monuments to a great past age. There is a lovely café serving cakes and drinks, providing a refreshing rest after walking around in the church grounds. 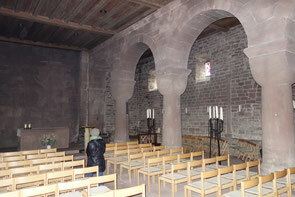 A rare jewel of a church, this is a small but authentic structure in the Romanesque style, dating from the 11th century. Even older than the large monastery nearby, the church has its origins in the 8th century and is actively used as a church today. Repeatedly rebuilt in its early days, the present structure dates from 1059-1071. The church is small and easily overlooked from the outside but the interior is intimate and memorable. On entering, it takes a while for one’s eyes to get used to the darkness, but once visible, the interior exudes a special atmosphere. Within this intimate space, it is easy to imagine oneself in the days of the early church. 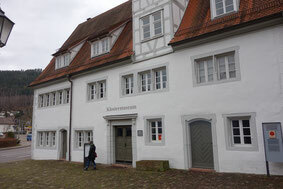 The church is located next to the Monastery Museum Hirsau (see above).